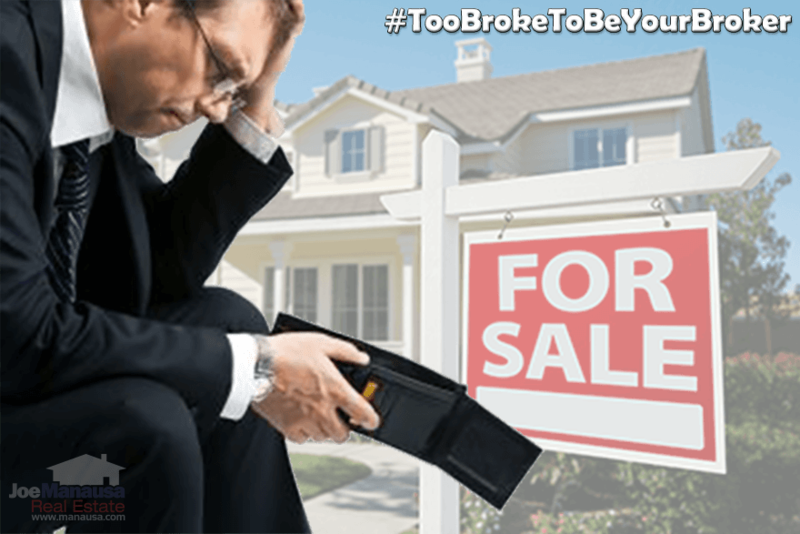 I have been pondering the problem of the luxury home market in Tallahassee for quite some time, trying to figure out how to succinctly demonstrate my concerns for the top 5% of homeowners in our area. You see, luxury homes for sale in Tallahassee have been selling like hotcakes, blowing away historical norms ever since mortgage interest rates plunged. So the questions that I have concerning the more expensive homes in Tallahassee relate to the amount of high end homes that we have created and how the future supply and demand imbalance can be corrected when mortgage interest rates return to normal..
Well, I think I have it figured out. I've established a model that has created a forecast for high end home sales and we can compare the current rate of sales with this forecast. Today's analysis of the "luxury home market" in Tallahassee is the result of a lot of compiling and analysis, and the results should alarm anybody who has a home worth more than $400,000 in Tallahassee. In the graph above, we show two sets of home sales data. The blue bars measure the actual number of home sales each year for homes priced above $400,000, while the orange bars use the model described below to forecast the number of homes that we would have expected to sell based upon historical norms. For the purpose of this evaluation, consider the orange forecast as "what should have happened," while the blue bars show what actually happened. Needless to say, there were far more expensive homes sold than what our model anticipated. When you follow the actual home sales in the graph above, from left to right, you see the enormous surge of sales that broke away from "normal" 15 years ago. It becomes much easier to see if we convert the information above to a "cumulative" view as in the graph below. All this graph does is continually add the total number of sales that are occurring each year. Do you see how the actual number of homes sold has far out-performed what our model anticipated? I guess it's time to evaluate the model and to determine if something has been miscalculated or omitted that might explain the contrary results from our study. In determining our forecast, we projected high end home sales would be similar to what we've seen in the past, but influenced by 3 key factors. Thus, we established a baseline and then applied these factors. The baseline was created by averaging the number of high end home sales from 1991 through 1995, and then apply the three factors below to that baseline. Population Growth - If more people are living in Tallahassee, we would assume that more people could afford a high end home. To what extent? Well, our model looked at the percentage of people who purchased a high end home during the baseline years and then applied that percentage to the population growth rate each year. Thus, as our population grew, so did our forecast for luxury home sales. Inflation - If people are spending more money on consumer goods, it likely means they are making more money (to some extent). Our model than proposed that people would be willing to spend a larger amount of money per month on their home payment, and this growth in payment would be equivalent to the growth in the Consumer Price Index (one measure of inflation). While this is not a perfect fit for our model, it does adequately provide for the expected growth in consumer spending for housing payments. (Note: our model does not differentiate between cash buyers and financing buyers, as the growth in inflation would also impact the number of cash buyers willing to buy a $400,000 home and higher). Again, the model is not perfect, but it might be close enough to identify areas of concern. Mortgage Interest Rates - Once the adjustments were made for population growth and inflation, things became a little more complex. Using the baseline years of 1991 to 1995, we calculated a baseline monthly mortgage payment that would have been required to buy a luxury home. For the years following, we calculated the same mortgage payment and then determined how many more (or less) people could have made that payment with the rise and fall of mortgage interest rates. This allowed us to factor mortgage interest rates with population growth and inflation to determine a likely number of people who would buy a luxury home each year. 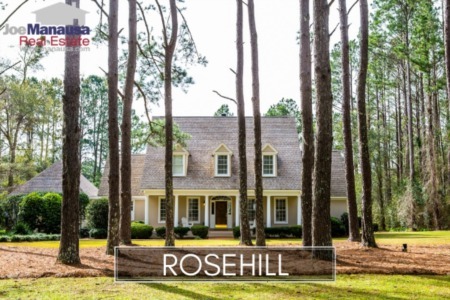 More people, with more money to spend, borrowing money at cheaper rates have caused a rise in high end home sales in Tallahassee. I think we all can agree on that. But the impact of these factors appears to be much higher than what should have happened, and we are not sure why this is so. Regardless of whether or not we think the difference between forecast and actual matters, we all need to be concerned about what we are seeing from left to right in the first graph above. Think about this: There was a 6038% growth in the number of luxury homes sold in 2006 when compared to 1991. How do you account for this? Population growth, inflation, and falling mortgage interest rates projected the change from 1991 to 2006 should have been 550%, a huge number as it is, so how do we blow by that to more than 6000% growth? What does the future hold for luxury home sales in Tallahassee? I anticipate that population growth will continue at rates similar to what we've recorded for the past 150+ years in Tallahassee. I would also believe that the rate of inflation should be consistent with what we've seen for the past 100 or so years (meaning there will be peaks, and there will be valleys, but inflation is likely to be with us indefinitely). And I am confident that mortgage interest rates will eventually rise and return to their long-term averages. Based upon current mortgage interest rates, our model has forecasted 261 luxury home sales in Tallahassee for 2015. In case you couldn't tell, our model has been fairly accurate for the past 7 years, as the number of actual sales is very close to what was forecast during this period of time. But what would happen if mortgage interest rates were not at their current level (below 4%), but instead were at the 50 year average of 8.5%? Instead of forecasting 261 high end home sales for 2015, that number would fall to 35. Before you think that it couldn't happen, bear in mind that 35 luxury home sales is more than 4 times the number that was recorded in 1991, so it certainly accounts for inflation and population growth. If you believe the mortgage interest rates will eventually "return to normal," then what will become of all the high end homes that have been created in Tallahassee? If we have been selling 230+ per year for the past twelve years and then demand declines to just 35 per year, won't we eventually be faced with 230 sellers for every 35 buyers? On top of this, many of our current luxury home buyers want new construction, so we are creating a lot more future inventory. Additionally, I believe the high end buyers of the future, even when faced with an overwhelming buyer's market, will still contain a large segment that wants to build their own home. This means that it is highly conceivable that sellers will outnumber buyers by a factor larger than 10 to 1. What will become of all these high end homes that have no buyers? We have seen one real estate bubble burst in the past ten years, and there is strong evidence to support it happening again for high end homes. For Tallahassee to avoid this conclusion, we must either see permanent low mortgage interest rates or a significant growth in private sector employment. A healthy combination of the two would work as well. I just don't see permanent low mortgage interest rates being possible, as it likely is not sustainable. And I don't see any imminent major changes in the local economy that would reverse the 10 to 1 imbalance between sellers and buyers. So here's my advice. If you live in a high end home in Tallahassee and like the home, stay there and enjoy it. Know that you are living in an asset that is likely to have significant depreciation unless you can "go the distance," however long that will be. But if you are planning a move within the next five years and want to minimize potential losses, consider selling now and buying a home below $300,000 or leasing any home. The market for high end homes is thriving today, and mortgage interest rates do not appear to be rising, so getting your home sold will be easier now than it will be when conditions change. If you are willing to lease, hold your home and monitor mortgage interest rates. When signs show they are beginning to rise, sell your home as quickly as you can to avoid being caught in another housing market bubble. If you would like help in evaluating all of your luxury home options, please give us a call at (850) 366-8917 or drop us a note and we'll be in touch right away. Thinking about buying or selling an upscale home? Here's what people are saying about working with Joe Manausa Real Estate, you can see hundreds of real customer reviews reported on Google, Facebook and Zillow right here: http://www.manausa.com/testimonials. Defining high end homes at $400,000 and above for a period of 20+ years seems like that alone would skew the data. I would imaging with inflation and historic levels of appreciation, not including the boom, that a $400,000 house sold in 1991 to a much higher sales price today. It appears that the graph is not comparing apples to apples over the course of time. 1. 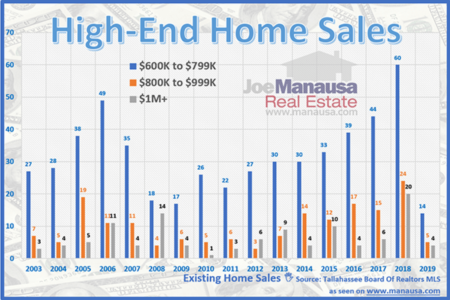 Defining high end homes at $400,000 and above for a period of 20+ years seems like that alone would skew the data - It does not skew the data, but you could argue that the term "high end home" has changed. I agree. So imagine this article is about $400K+ homes and we'll omit calling them high end (though even today, over $400K is only 8% of the market). The point of the article is that we have built and sold far too many homes priced over $400K, and when interest rates rise, there will be 10 to 15 sellers for every 1 buyer. 2. I would imaging with inflation and historic levels of appreciation, not including the boom, that a $400,000 house sold in 1991 to a much higher sales price today - Agreed and accounted for. When you look at the orange "forecast," it includes adjustments for both inflation and population growth. 3. It appears that the graph is not comparing apples to apples over the course of time - Agreed. But again, not the point. The forecast shows how many people can afford spending $400K on a home based upon all the variables, and mortgage interest rates are one variable that will not hold-out forever. Regardless of whether an apple or an orange, if you ask more than $400K (in the future when interest rates return to normal), your "fruit" will be competing with 10 to 15 other sellers for the one fruit buyer. Joe, thank you for your response. While I do not doubt that Tallahassee has overbuilt its luxury home market, the percentage increases you cite in your post are misleading. If you are defining luxury home as a home over $400,000 today, in order to compare these sales over past years, wouldnt it make since to calculate what a $400,000 home today would have been worth in 1991 and moving forward, and then take the number of homes sold in those years above that price point, and compare it to homes sold over $400,000 today. According to a basic inflation calculator, $400,000 in today's money is equivalent to $700,000 in 1991. In reverse, $225,000 in 1991 is roughly equivalent to $400,000 today. I would be curious to see the data to see what the percentage of home sales over $225,000 was in 1991, compared to percentage of home sales over $400,000 today.